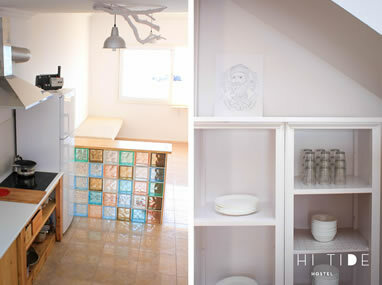 Common areas: open kitchen with a big living room where you can read, listen to music and enjoy the view of the ocean. Inner patio if you want to relax and drink your tea/café/beer in the afternoon. 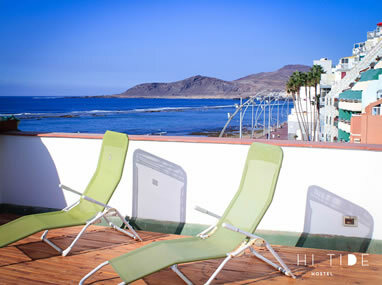 We also have an ocean view terrace (180 angle) so you can take a sun bath or just chill with your new hostel friends. Incredibly romantic sunsets are waiting just for you! 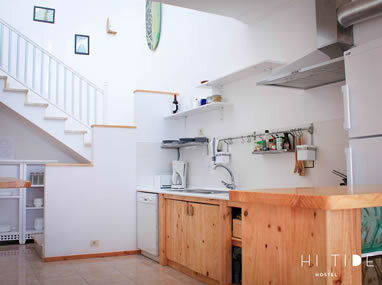 We are just in front of the beach and we can offer you a place on 300m2 divided into three floors. 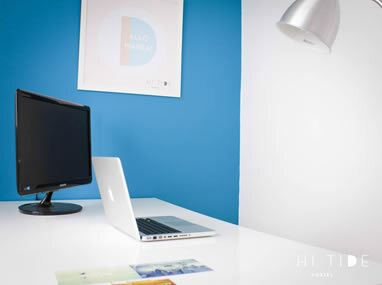 Bright and open spaces of the HiTide infrastructure and staff will make you feel at home. We want you to enjoy your stay with us and discover the magic of this incredible island. 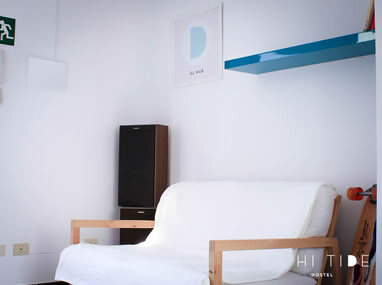 HITIDE HOUSE IS A PART OF A CSF CONCEPT GROUP. WE TRY TO PROVIDE LOTS OF IDEAS FOR PEOPLE WHO COME TO GRAN CANARIA IN ORDER FOR THEM TO ENJOY/ FEEL/ SHARE THE INCREDIBLE MOMENTS WHILE ON VACATION. 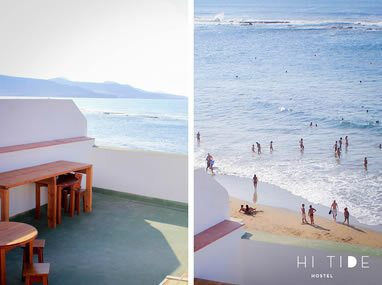 HiTide has two shared 6-bed dorms with private bathrooms, two private rooms for two or four persons and one big 12-bed dorm with direct ocean view. Share the joy of communal surf lifestyle. We are in the hub of one of the world’s most popular surf city, surrounded by restaurants, bars, cafeterias, shops and supermarkets. During the day you can participate in various activities that we offer and at night you can have a good time in one of the music clubs or live music concerts right on the Las Canteras beach. A picture is worth a thousand words. Click and see for yourself! We are waiting for you to help you spend fantastic time here. We guarantee that you will never forget Gran Canaria... what are you waiting for? Join us now!